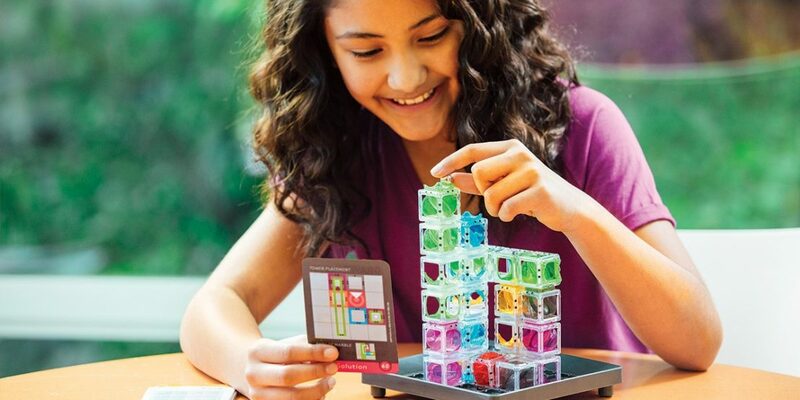 Thinkfun Logic Games | Happy Up Inc. 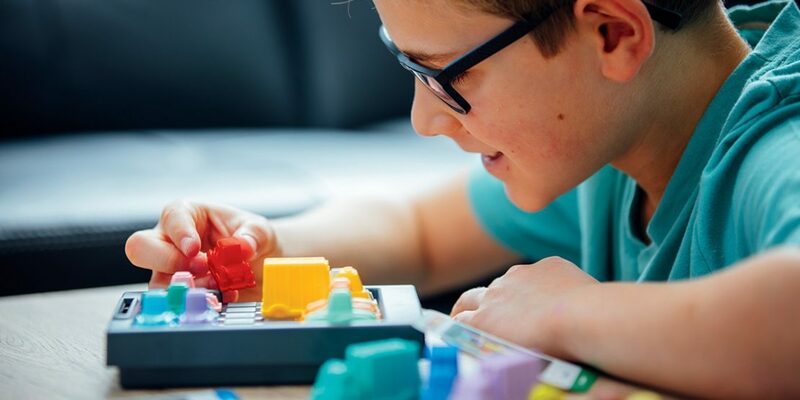 Challenge your problem solving skills! 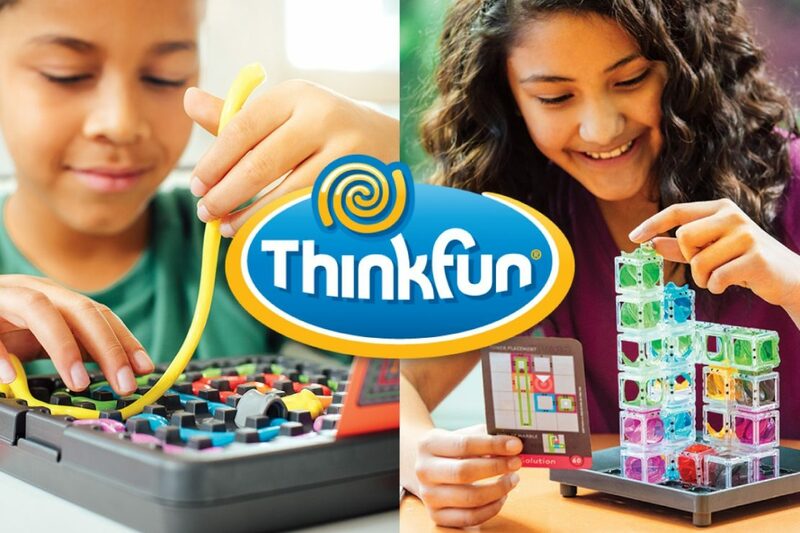 ThinkFun is one of those companies that we love to have on our shelves. 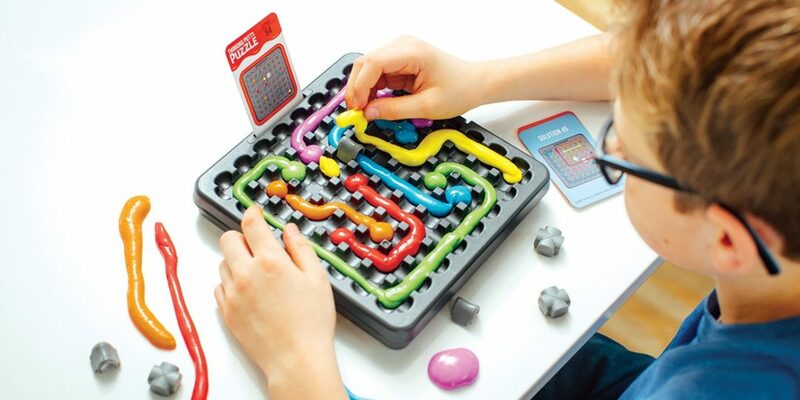 Their games and puzzles are excellent at challenging grown-ups and kids alike. Eat some brain food 'cause you're going to need it! Pull it, bend it, solve it! 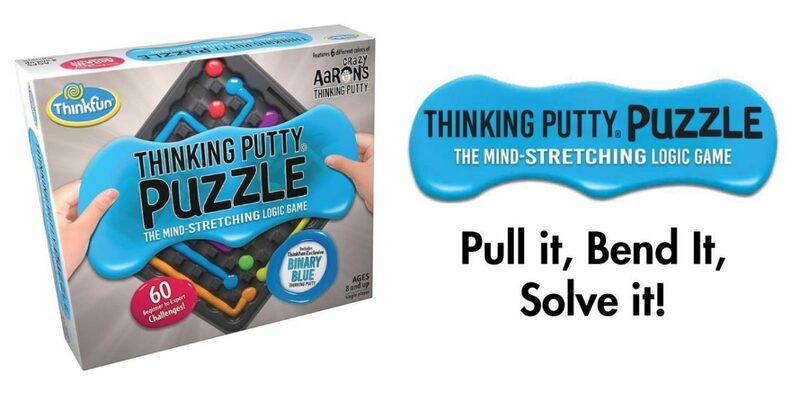 This unique logic puzzle combines Crazy Aaron’s Thinking Putty and a connect-the-colored-dots style puzzle. Set up little dabs of Thinking Putty as shown on the challenge card. 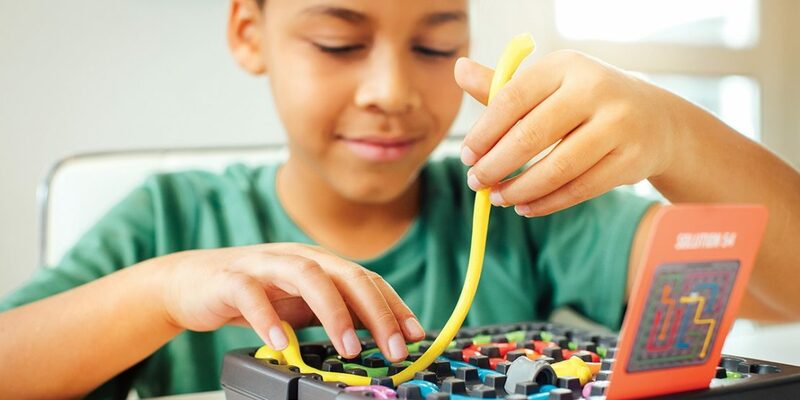 Then create putty snakes to connect the putty dabs, arching over bridges and avoiding the blocks. It’s a test of spatial reasoning and problem solving! Don’t lose your marbles on this one! Set up the towers and let gravity to it’s thing. 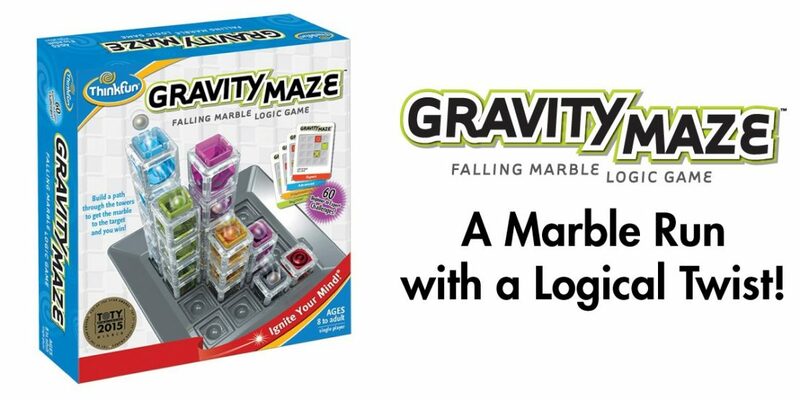 Can you get your marble to the end point? Try and try again! 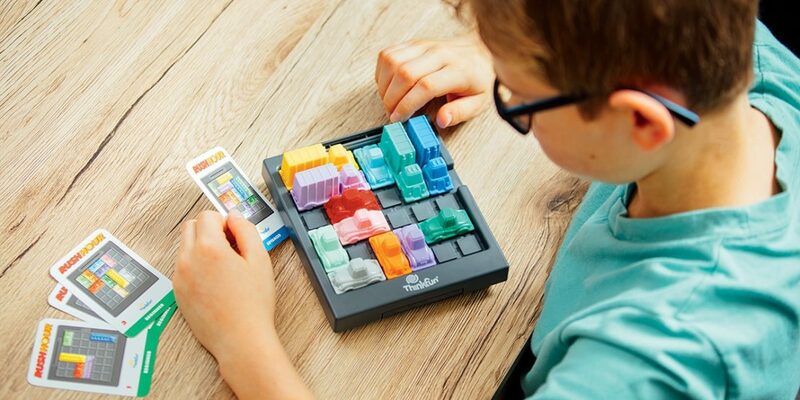 The challenge cards range from easy to hard, and are sure to engage the whole family. 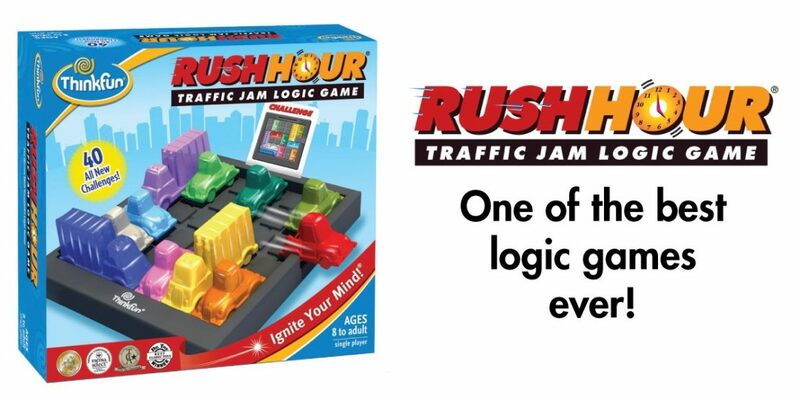 Logic Your Way out of the Traffic Jam! Rush Hour was originally released a zillion years ago. It’s modern take on the classic wooden block slide puzzle. 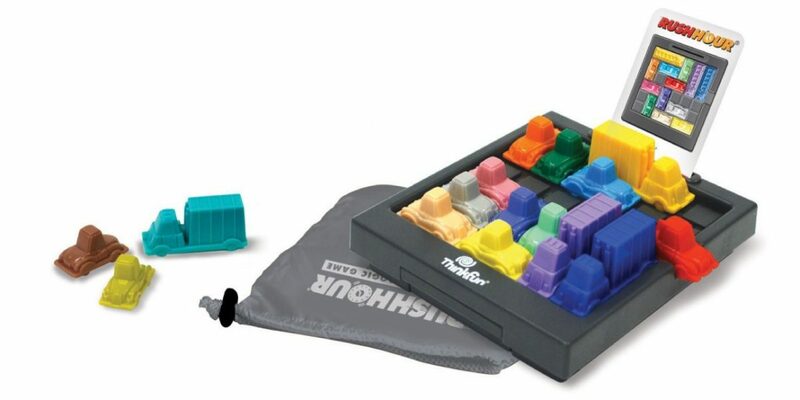 It was, and still is, a best seller for ThinkFun and for Happy Up. Set up the vehicles according to the challenge card. Slide the blockers one by one to free your zippy red car from the jam. The challenges range from easy to difficult. Endlessly challenging! 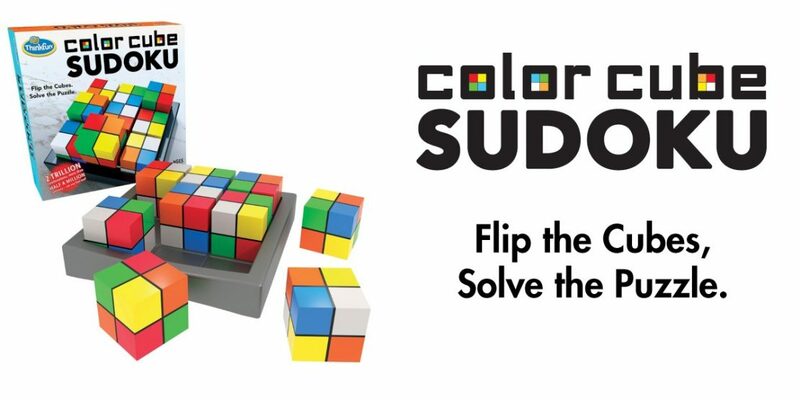 Flip & rearrange all nine of the color cubes on the 3x3 tray. 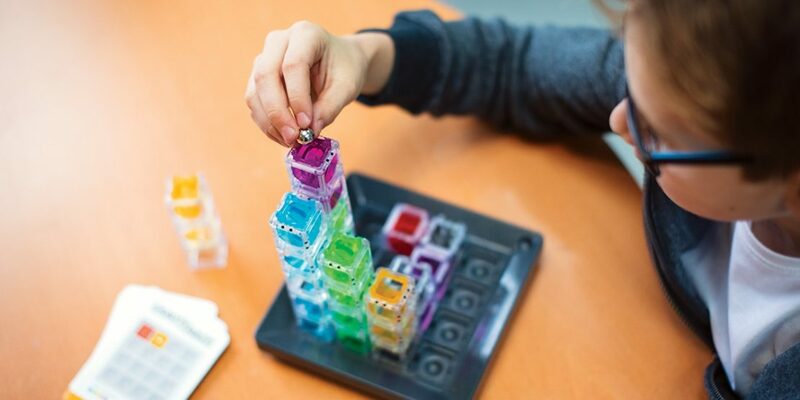 Your goal: place the cubes so each color appears only once in every row and column. 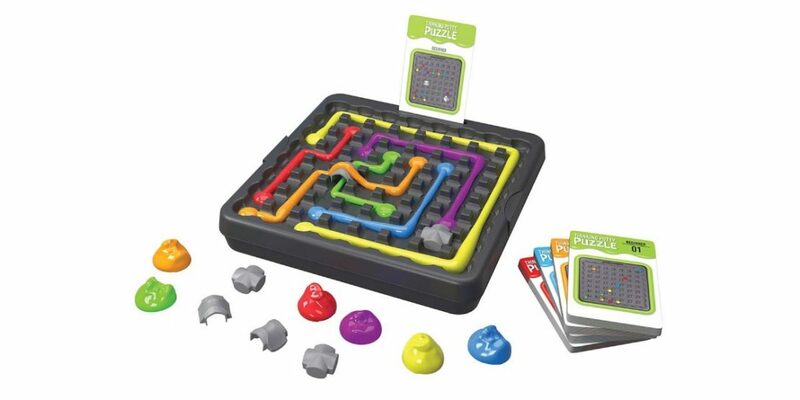 It’s a different challenge every time… and may take you several tries to solve the puzzle. 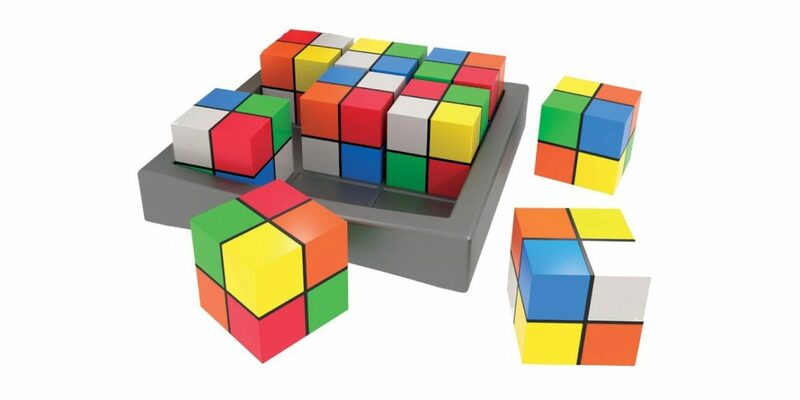 There are 2,641,807,540,224 different ways to position the 9 color cubes. Only 665,856 will produce a solved puzzle. Good luck! Get a brain workout with Solitaire Chess! Whether you’re a chess aficionado or are more of a checkers person, this puzzle game will give you a mental workout! 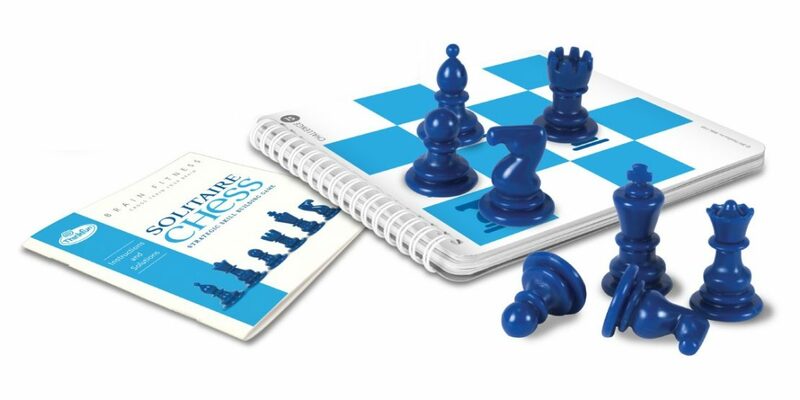 Set up the chess pieces according to the challenge, then capture and eliminate a piece with every move. Your goal is to have only one piece left on the board. Can you do it? 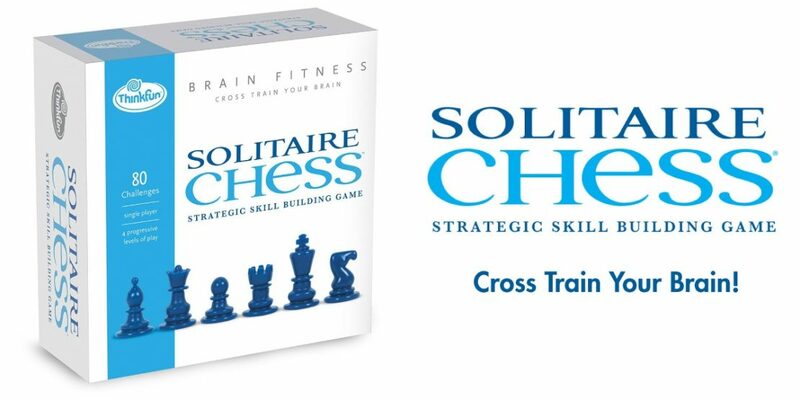 Note: The new Brain Fitness version of Solitaire Chess does not come with the travel box & card set-up. The playing field and challenges are all in the spiral bound booklet. 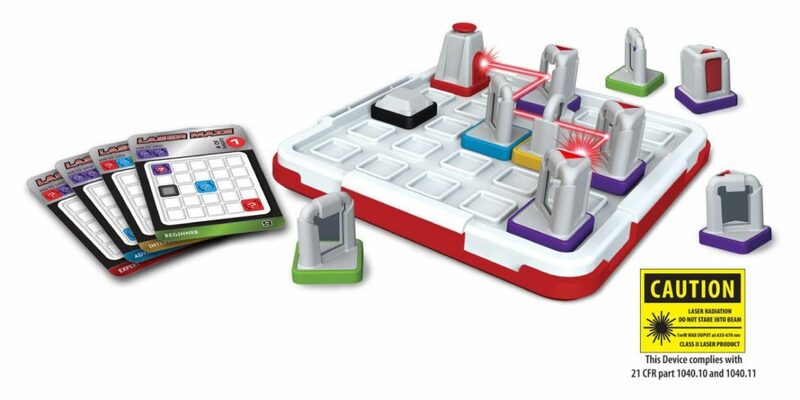 Get laser focused with this puzzler! Set up the pieces according to the challenge cards and figure out how to hit the target with the laser. 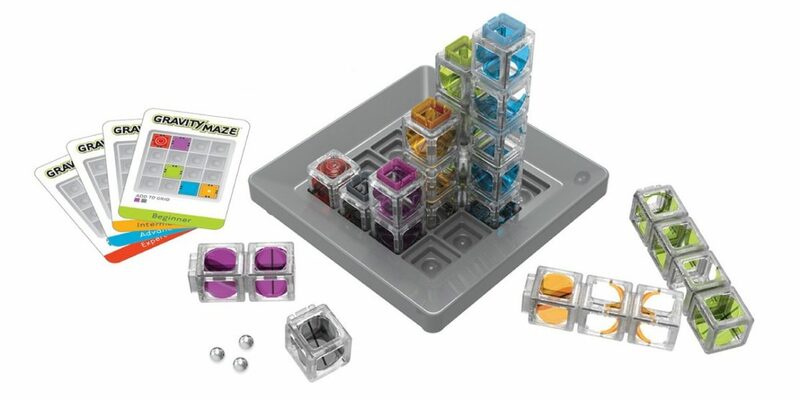 It’s a feast of STEM skills and problem solving in one tidy little package. Caution: This game comes with a real laser. Do not stare into the beam. Who’s to blame logic game! 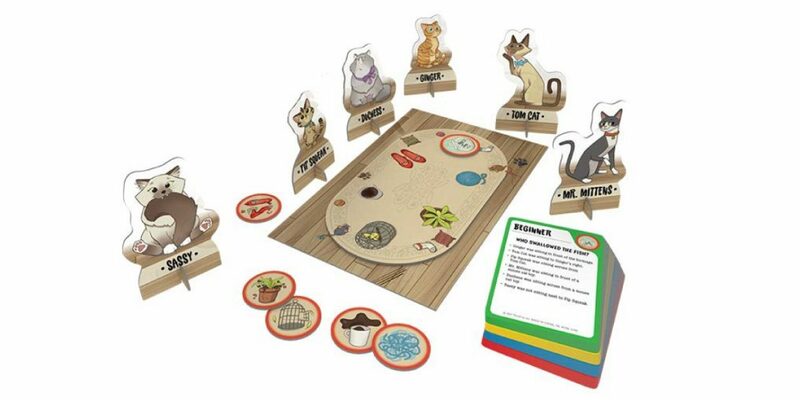 Deduce the answer to these feline felonies! 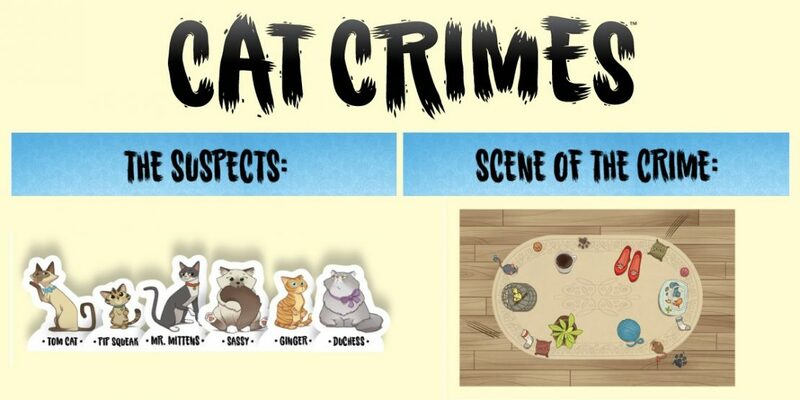 From tangled yarn to a missing bird, you’ll need to figure out where each of the kitties were at the time of the crime. And who is the guilty party. It’s a new take on classic brain teasers. 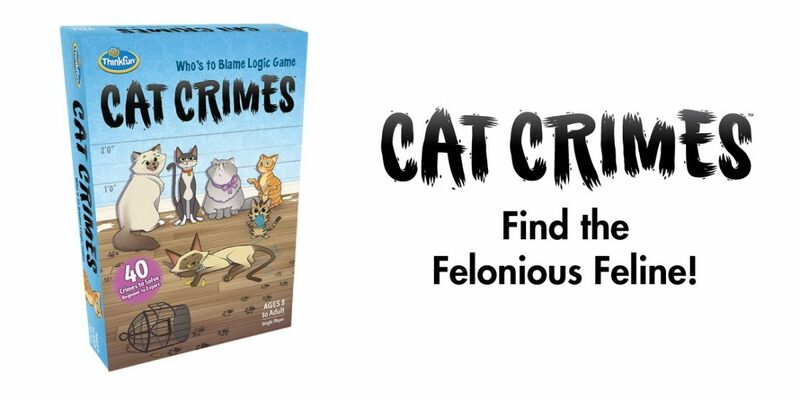 You get a series of clues that will help you eliminate suspects until you’ve discovered which cat is responsible for causing the mayhem. The mysteries range from easy to difficult so put on your thinking caps and work it through! 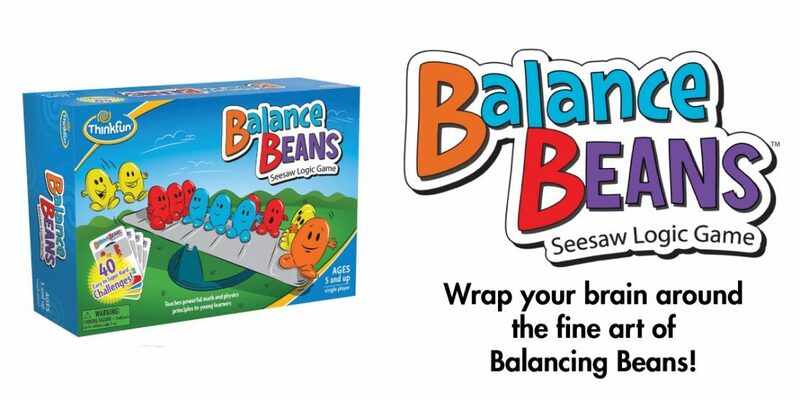 Wrap your brain around the fine art of balancing beans! This logic game challenges you to add the correct combination of beans to the seesaw to find the balancing point. 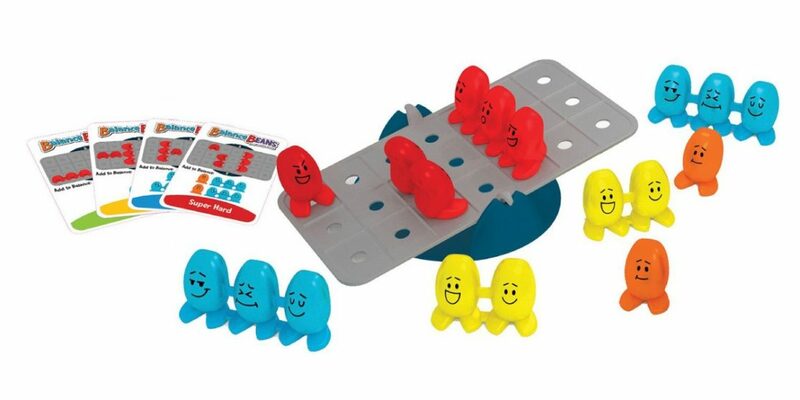 Part logic, part math challenge, Balance Beans can introduce youngsters to elementary algebra. 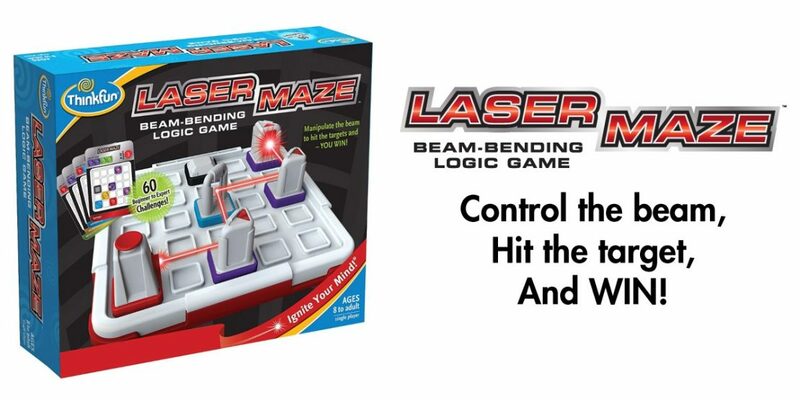 The Beam-bending logic game for younger players! 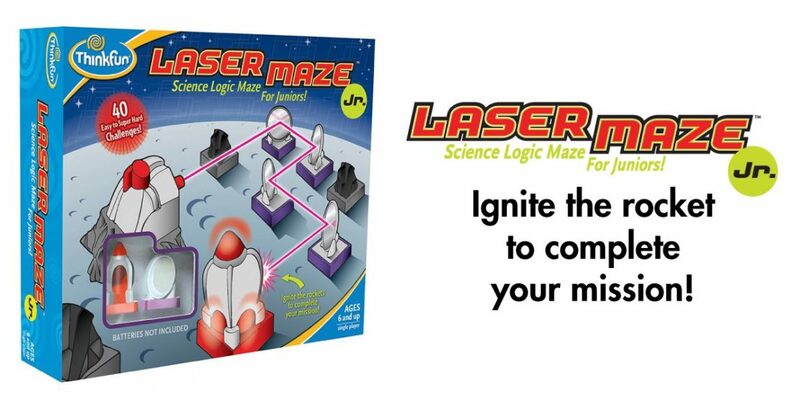 Similar to Laser Maze, this is a version re-designed for younger problem solvers. The goal is to send the beam of light around obstacles to hit the target rocket. 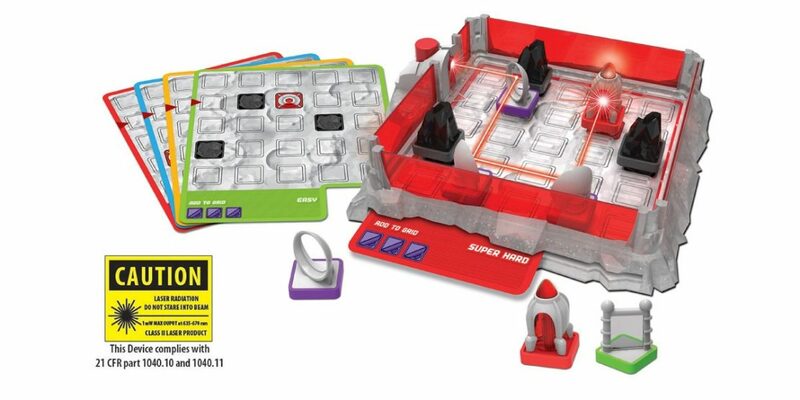 The laser is in a fixed position, making it easier for younger kids to solve the puzzles.